The medicinal cannabis industry is growing extremely fast. Although the large number of CBD oils available today is certainly not a bad thing in itself, it can make choosing the right product for you more difficult. Here is what you should consider before purchasing CBD oil. With scientific research on the therapeutic potential of cannabis mounting and cannabis laws in many countries becoming more relaxed, it’s not surprising that the medicinal cannabis industry is exploding. Experts estimate the market for CBD oils and similar cannabidiol products to soon reach $13B USD. Sure, more products to choose from are a good thing for the consumer, but it doesn't necessarily make choices easier. If you are a medicinal cannabis user or just looking to boost your overall health, the fact that you now have many different CBD oil products to choose from has its pros and cons. On one hand, you can now legally obtain CBD oils in many regions, be it online or in retail stores. On the other hand, it can be challenging to find a CBD oil that is right for you. CBD oils are available in different concentrations and differ widely in the way they are made. Most importantly, the quality and purity of CBD oils, and therefore their effectiveness, varies from one manufacturer to the other. Here are some tips on what you should look for when purchasing CBD oil. 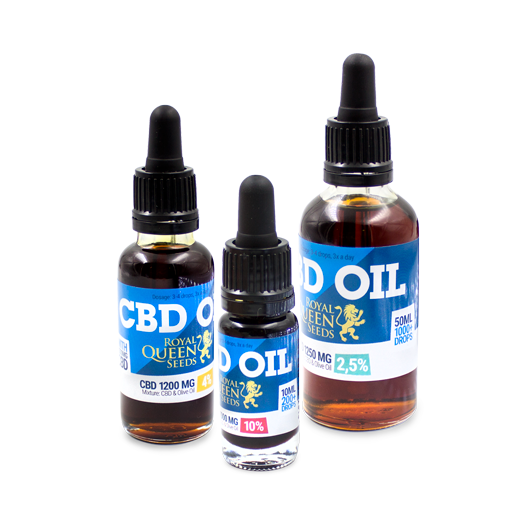 CBD oil products, such as those offered in dropper bottles or capsule form, come in a range of concentrations. The amount of CBD they contain per bottle or capsule can usually be found on the packaging. Some list the amounts in mg, such as 250mg, 500mg, or 1,000mg. Other CBD oil products may specify the concentration as percentages instead, such as 4%, 10%, or 20% cannabidiol (CBD). While higher doses of CBD will likely have a more pronounced effect, it is not recommended to start with a high concentration. Start with products featuring a low to moderate dosage, then gradually work your way up to a higher dosage if needed. By observing the effects over the course of several days or a few weeks, you can make the necessary adjustments. If you don’t see the desired effect after this period, increase your dosage. Once the desired effect sets in, you will be able to establish what concentration of CBD is best for you. Cost per dose is another factor to consider before purchasing CBD oil. Even though highly concentrated products might be more expensive outright, they often offer a greater value over the life of the product. So, once you have established your therapeutic dose of CBD, see whether switching to a higher concentration saves you some money in the long-run. For instance, a 500mg bottle of CBD oil will likely cost you less than if you were to buy two 250mg bottles. The two main types of CBD oils are those made from near-pure CBD isolates or crystals, and full-spectrum oils. The latter contains other active compounds in addition to CBD. Until recently, pure CBD isolate was considered the standard for non-psychoactive cannabis therapy. But evidence is mounting that full-spectrum oils provide a host of additional benefits not seen in isolates. Full-spectrum oils often contain other cannabinoids such as CBN and CBL, as well as terpenes (aromatic compounds such as pinene and limonene), and other substances like flavonoids. These compounds are said to work in synergy with CBD through a natural process known as the “entourage effect”. Whether you should opt for a CBD oil made from CBD isolate or a full-spectrum oil is up to you. Both types offer benefits, but full-spectrum oils are currently the industry darling. When you go to purchase a CBD oil product, manufacturers usually state if their products are “full-spectrum” on the product page. Almost as important as choosing the right concentration of CBD oil is the delivery method. Many CBD oils are available in dropper bottle form, allowing for sublingual delivery. This means dropping CBD oil directly under the tongue, making for an efficient route of delivery. Then again, capsules allow for discreet, controlled doses of CBD to be administered with ease. Some individuals also inhale their CBD oils using vaporizers. These products may all contain the same ingredients, but will differ when it comes to accessibility, convenience, and even effect. Conduct some research on the different methods of intake to determine which route works best for you. There are various ways in which CBD is extracted from the cannabis plant to create CBD oils, and not all these methods are created equal when it comes to the purity and quality of the final product. Some companies that cut corners and produce cheap CBD products may use harmful solvents such as propane or butane to render their extracts. Although these products are often less expensive, ask yourself if you really want to nullify the health benefits of the oil with products that contain remnants of harmful substances. The best CBD oils are usually created via supercritical CO₂ extraction. This method uses carbon dioxide under high pressure to isolate, preserve, and maintain the purity of the CBD. It is admittedly more expensive to run, so the resulting products may not be the cheapest; but you can rest assured that you’re buying a product of quality. CO₂ extraction doesn’t involve any toxic substances. There are some other, less common methods to extract CBD without the need for toxic substances. Olive oil or coconut oil can also be used to extract CBD, albeit less efficiently than CO₂. Reputable manufacturers of CBD oils normally are quite transparent about their extraction processes. If you don’t see extraction methods mentioned on the product page or any supplemental literature or packaging, proceed with caution. Those manufacturers that employ CO₂ extraction are often proud to mention it. 6. WHERE DOES THE CBD COME FROM? CBD oil is derived from hemp or cannabis plants—both of which actually belong to the same species of Cannabis sativa, but have been selectively bred over the years to feature unique characteristics. Shadier CBD oil manufacturers are known to use non-food-grade hemp grown under non-organic and questionable conditions. This is bad since hemp is a plant that absorbs contaminants such as chemicals, metals, lead, etc, which will ultimately end up in your CBD oil. Your best bet is to select from trusted European CBD oil manufacturers that source their cannabinoids, terpenes, etc. from organic, non-psychoactive EU hemp. European regulations regarding hemp are very strict and ensure the highest-quality harvest. Combined with proper extraction and filtration methods, good raw material will result in oils of the utmost quality. Once again, reputable manufacturers are usually quick to mention where their CBD is sourced from. Moreover, the best CBD oils are tested by professional third parties to ensure that products are safe, high-quality, and contain what they claim to. These tests guarantee that the product is free from pesticides, heavy metals, and other contaminants. If you can find the lab results on a product website, this is a good indication that the manufacturer takes quality and customer service seriously. Before purchasing a CBD oil product, it really is advised to scope out different companies and their offerings. Don’t just look at the price of your CBD oil, and DO NOT buy from untrustworthy sources. Stick to reputable European CBD oil manufacturers and you will be on the right track to incorporating the benefits of CBD into your lifestyle.